Woman, jogging on the beach: “I’m a moderate to severe brain cloud sufferer. I’ve been living with the heartbreak of brain cloud symptoms for years. If you’re like me, you know that heartbreak. “But now there’s Enteraxol, a new medical breakthrough in managing the symptoms of moderate to severe brain cloudism. And it’s made all the difference in my life. Montage of patient enjoying an afternoon of tiger petting at the zoo with her grandchildren, jitterbugging with her second husband, laughing at nothing with friends, and other non-sequitur lifestyle shots…we don’t care…you don’t care…you’ve already gone to the bathroom to manage your moderate to severe whatever. Announcer VO: “Enteraxol has been shown to cause massive organ failure in some patients. “Do not take Enteraxol if you are taking any medications for anything else, have heart disease, occasional indigestion, constipation, are menstruating, are in a committed relationship, live alone, live with anyone else, are sexually active, are sexually inactive, have diabetes or glaucoma. “Do not use Enteraxol near pets or children. “Do not expose Enteraxol to an open flame. “In rare cases, Enteraxol may increase the likelihood of some epidermal liquefaction. “If blindness or unprovoked murderous rages continue after taking Enteraxol for more than four hours, consult a doctor. “If slight eyeball melting occurs, such as illustrated in the climatic scene of Raiders of the Lost Ark when all the Nazis had their eyeballs melted by looking into the open Ark of the Covenant, discontinue taking Enteraxol. “If pterodactylism occurs, such as the sudden growth of webbing between the fingers and extremities, discontinue use of Enteraxol. “Enteraxol may interact negatively with certain foods, like animal protein, carbohydrates, some nuts, fruits, vegetables and most pudding. Do not take Enterax with alcohol or hot chocolate. “Do not attempt to operate any machinery more complex than a pencil while taking Enteraxol. “It is inadvisable to write a blog or interact on social media while taking Enteraxol. “If a head of state, do not sign any nuclear non-proliferation treaties if you have taken Enteraxol within 24 hours. “Store Enteraxol in a cool place out of the reach of children, animals and ants. “Some zombieism as well as seeing the world overrun by zombies has been associated with prolonged use of Enteraxol. 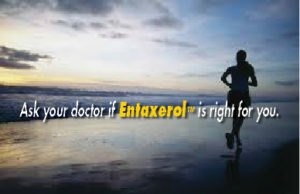 “Enteraxol can lead to cessation of all life functions. And in rare cases, death. “The effectiveness of Enteraxol in the treatment of brain cloudism has yet to be proven. “Enteraxol may be illegal in some states and the rest of the civilized world. Why do drug companies even bother to advertise at all? Because when people are suffering, they don’t listen to what could go wrong.